First, what is the framework for the application of human genetics to predict on-target adverse drug events (ADEs)? Briefly, human genetics can predict on-target toxicity if the following criteria are met: (1) unambiguous association of genetic variant to a clinical phenotype that is a surrogate for drug efficacy and toxicity; (2) unambiguous relationship between disease-associated variant and implicated gene that is the target of the therapeutic intervention; (3) quantitative assessment of gene function and clinical phenotypes of efficacy and toxicity to estimate a “genotype-phenotype dose-response” relationship; and (4) confidence that the therapeutic intervention mimics the mechanism of action of the disease-associated variant. A good historical example of human genetics predicting on-target drug toxicity is DGAT1 and diarrhea (here, here). Diacylglycerol acyltransferase 1 (DGAT1) catalyzes the final step in triacylglycerol assembly. Inhibitors of DGAT1 were in development for the treatment of type 2 diabetes and obesity. Unfortunately, dose-related gastrointestinal side effects prevented further development of DGAT1 inhibitors (here). Consistent with an on-target toxicity, a rare loss-of-function DGAT1 mutation was found to be associated with a severe, intractable diarrhea in newborns (here). As shown in the chart below, 3 of the 4 criteria have clearly been met. The fourth criteria (does the drug mimic the effect of the genetic mutation) is probably met, as the therapeutic intervention is with a small molecule that inhibits enzymatic function. However, it is worth noting that the human knockout is due to complete absence of the gene (due to a rare splice site mutation), which may alter scaffolding or other non-enzymatic functions of the DGAT1 protein, should such functions exist. Another good example is TYK2, where all four criteria have been met (here, here). TYK2 is a tyrosine kinase that acts as an intracellular signaling molecule downstream of type 1 interferons, IL12 and IL23. Complete human knockouts of TYK2 lead to primary immune deficiency and susceptibility to viral infection. Partial loss-of-function TYK2 mutations protect from psoriasis and other autoimmune diseases without an increased risk of viral infection (here, here). An allosteric inhibitor of TYK2 mimics the effect of the partial loss-of-function mutation (here) and is in development for psoriasis (here). In terms of the four criteria, I want to emphasize that the therapeutic intervention mimics quantitatively (criterion #3) and functionally (criterion #4) the genetic perturbation. As demonstrated by Dendrou et al in 2016 (Science Translational Medicine [STM] article here), homozygous carriers of the P1104A variant have approximately 80% inhibition of TYK2, as measured by peripheral blood pSTAT assays (see Figure 2 of their STM study). Now, let’s run through the same criteria for the ATP citrate lyase gene, ACLY. ATP-citrate synthase is the primary enzyme responsible for the synthesis of cytosolic acetyl-CoA. It has a central role in de novo lipid synthesis. (1) Unambiguous association of genetic variant to clinical phenotype that is a surrogate for drug efficacy and toxicity. The NEJM study constructed a genetic score across a 1 Mb region of the ACLY gene locus that impacted LDL cholesterol levels. This is the first report of such a score across the locus, and it is not clear from the Methods if this finding has been independently replicated. In support of a true positive, however, the ACLY genetic score was generated in a large population (654,783 participants, including 105,429 participants who had a major cardiovascular event) and was highly statistically significant for two phenotypes that are excellent surrogates for drug efficacy: LDL cholesterol levels (P=1.6×10-18) and risk of a major cardiovascular event (P=4×10-14). Hence, “probably”, in terms of the relationship between the genetic variants and clinical phenotypes of efficacy (LDL level and cardiovascular events). I would elevate this criterion to “yes” once this finding has been independently replicated. We will get to on-target toxicity later. (2) Unambiguous relationship between disease-associated variant and implicated gene that is the target of therapeutic intervention. Here is where the story becomes particularly problematic. ACLY is a very strong candidate gene in the region, as it is a key enzyme in the cholesterol biosynthesis pathway upstream of HMG-CoA reductase, the target for statins. However, there are over 30 other genes in the 1 Mb region. While ACLY is involved in cholesterol biosynthesis, and while the genetic variants are linked to an intermediate phenotype, LDL cholesterol, that is on the causal pathway for CAD risk, strictly speaking there are no direct data linking the variants across this region to ACLY gene function. For example, all 9 variants are non-coding, and none have been shown to be association with ACLY gene expression or another aspect of ACLY gene function. This is in contrast to both DGAT1 (a complete human knockout) and TYK2 (missense variant that leads to 80% decrease in function), where there is a clear relationship between the disease-associated variants and gene function. Hence, “maybe”. (3) Quantitative assessment of gene function and clinical phenotypes of efficacy to estimate a “genotype-phenotype dose-response” relationship. The 9 variants across the 1Mb ACLY gene locus are associated with LDL cholesterol, and there is a clear relationship between LDL levels and CAD risk. Indeed, the quantitation is very precise for both LDL and cardiovascular risk: “For each decrease of 10 mg per deciliter in the LDL cholesterol level, the ACLY score was associated with a decrease of 17.7% in the risk of major cardiovascular events…and a 19.4% decrease in the risk of myocardial infarction.” However, there is no evidence that the 9-variant genetic score has any impact on ACLY function, so it is not possible to establish a quantitative relationship between gene function and clinical phenotypes such as LDL cholesterol and cardiovascular risk. Hence, “not sure”. Note that these first three criteria are essentially the same criteria for Mendelian randomization (see JAMA review here, my blogs here and here). A Tweet highlighted several of these issues in reference to Mendelian randomization and the aforementioned NEJM study. I will note, however, that Mendelian randomization (MR) – a casual pathway analysis that extends from a genetic variant to an intermediate phenotype (e.g., LDL) to a clinical outcome (e.g., cardiovascular disease) – is not necessary for an ADE PheWAS. MR is very valuable for predicting the relationship between a biomarker and a clinical outcome, if such a biomarker is used in a clinical trial for a therapy such as bempedoic acid. For an ADE PheWAS, an intermediate phenotype is not necessary, as long as the impact on gene function can be quantitatively determined by another mechanism (e.g., loss of function via gene knockout [DGAT1], cell signaling via profiling in individuals with the genetic variants [TYK2]). (4) Confidence that the therapeutic intervention mimics the mechanism of action of the disease-associated variant. I don’t know the selectivity profile of the ACLY-inhibitor, so it is hard for me to comment on this last part. If the therapeutic intervention is highly selective, then I would elevate this to “probably”. But in the absence of data on functional relationship between disease associated variants and gene function (criteria 1-3), it is not possible to ever declare an absolute “yes”. At this point in the blog, we have not even addressed the adverse event portion of the genetic analysis presented in the NEJM article. If criteria #1-4 are met, then this creates a powerful tool to explore the relationship of a genetic variant and clinical phenotypes that are surrogates for on-target toxicity. Ference et al address ADE PheWAS only briefly, as shown in Table 2 of their NEJM article. The only suggestive association was between the ACLY gene locus score and protection from lung cancer (P=0.01). Cancer was an important phenotype to consider in the ADE PheWAS, as a greater number of deaths from cancer occurred in the bempedoic acid group than in the placebo group, Given the number of hypotheses tested, I am not sure this result is a true positive result. Ference et al conclude: “Neither lifelong genetic inhibition of ATP citrate lyase nor lifelong genetic inhibition of HMGCR was associated with an increased risk of cancer.” Strictly speaking, I don’t think it is possible to make this claim for ACLY, as all four ADE PheWAS criteria have not been met. There was one particular inconsistency between the ADE PheWAS and the observed ADEs with bempedoic acid: gout and uric acid levels. There was a striking relationship between therapeutic intervention with bempedoic acid and gout (~5-fold increase in incidence of gout) and uric acid levels (~10-fold increase from baseline in uric acid level). If gout / uric acid metabolism is an on-target effect of inhibiting ACLY, and if the 9 variants are truly acting through ACLY (rather than another gene in the region), then one would expect these variants to be associated with gout / uric acid in the general population. The observation that the ADE PheWAS did not find an association between the ACLY gene locus score and uric acid / gout would suggest either (a) that the genetic score is not acting through ACLY, or (b) that the effect of bempedoic acid on uric acid / gout is due to an off-target effect of bempedoic acid. If the latter, then it would suggest that bempedoic acid is not selective for ACLY-inhibition or there is another function of bempedoic acid that impacts uric acid metabolism. One word that I want to underscore from the four criteria above is quantitative. To interpret a potential ADE using PheWAS, it is essential to understand the effect of the genetic on a surrogate phenotype of efficacy, as well as the effect of the genetic variant on a surrogate phenotype of toxicity. If the genetic variant has a large effect on an efficacy phenotype but a small effect on a toxicity phenotype, then it is possible that pharmacological intervention will have an acceptable therapeutic window. If, however, the quantitative genetic relationship between surrogates of efficacy and toxicity are nearly identical, a therapeutic window will be difficult to achieve with pharmacological perturbation. 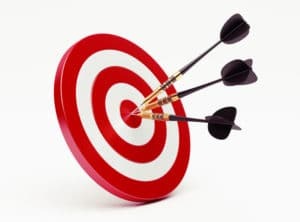 In this blog, I focused primarily on the application of human genetics to predict on-target toxicity, as this was a focus of the NEJM editorial by Holmes. However, the primary point of the Ference et al article was to perform Mendelian randomization in order to connect LDL lowering via an ACLY mechanism and a clinical outcome that has not yet been tested in a clinical trial with bempedoic acid: cardiovascular events. Such MR analysis is useful in the validation of ATP citrate lyase inhibition as a genetic target. I would argue that because the 4 criteria above have not been met, it is not possible to conclude that ACLY is a genetically validated target for cardiovascular disease. Until independent replication has been performed and a connection has been made between the genetic tool and ACLY function, I would argue that ACLY is “probably” but not “definitively” a genetically validated target. A topic that I have not discussed here, but is an interesting application of the approach described by Ference et al, is the ability to create a genetic score in the absence of existing common or rare variants associated with a surrogate phenotype of efficacy or toxicity. That is, is it possible to mine common variants for an “oligogenic” predictor that can then be used as an MR instrument when the gene encoding a therapeutic target does not have any known trait-associated common variants? Such an approach to generate a therapeutic dose-response relationship could have broad application, if generalizable. In conclusion, I applaud the attempt by Ference et al to use human genetics to inform on decision-making in drug discovery. However, there are a number of concerns that should provide pause when interpreting the clinical data on therapeutic intervention with bempedoic acid. In particular, the 9-variant ACLY gene locus score has not been independently validated; the link between a 9-variant genetic risk score and function of ACLY function is tenuous; and there are inconsistencies between the ADE PheWAS and ADEs observed with therapeutic targeting via bempedoic acid (e.g., uric acid / gout). That said, the approach described by Michael Holmes in the NEJM editorial and the spirit of the ADE PheWAS performed by Ference et al is certain to be a powerful technique in drug discovery and development.